Custom cabinets and bookshelves with mirrored backs. 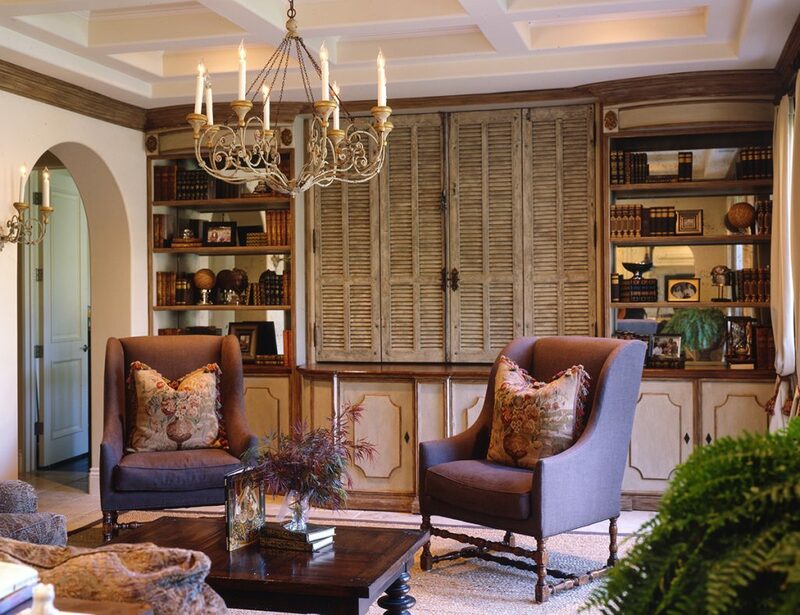 Antique French shutters conceal clients’ televisions. Beautiful chandelier suspended from a coffered ceiling. Stone floors with sisal and suede rug.